Audiovox Car Connection - DIY Vehicle Diagnostics Has Arrived! Your car is acting up... the engine is sputtering, cutting off, running ragged, or worse. Your only option is to take it to a professional auto repair shop, or worse, a dealership service shop. The first thing the repair professionals tell you is that your car must be hooked up to the diagnostic computer to determine what the problem is. What comes next makes you cringe. You're told that there is a fee just to hook up your car to the diagnostic computer before any work can be done. And how much does this cost? It can be $50, $85, or even more, depending on whether or not you are at a general auto repair shop or a dealership. You find yourself at the mercy of the repair professionals, trusting whatever they report to you that they discover. This happened to me just six months ago when the fuel pump went out on my 2000 Cadillac Deville. I found out that no "after market" shops could even diagnose the issue. It had to be taken to a Cadilla dealership to be hooked up to a Cadillac diagnostic computer. That cost me $85 right off the bat. It made me grind my teeth, because I am a former auto repair shop owner. I had a Genesis diagnostic computer, and I charged customers a $40 fee for hooking up to my device for troubleshooting. The cost of my diagnostic computer was $3,000, so I had to charge this fee to cover the cost of constantly updating my computer and buying attachments for various cars. Fortunately for me, after paying the $85 fee and getting the diagnostic report, I was able to have my former head mechanic solve the problem and replace my fuel pump for a total cost of $105, including labor. The dealership quoted me at $875 for the exact same job. Most people don't have the luxury of understanding the auto repair industry, and they don't have access to the information that I have as a former shop owner. That puts everyone at the mercy of the repair shops. But what if you could do this diagnostic work yourself? 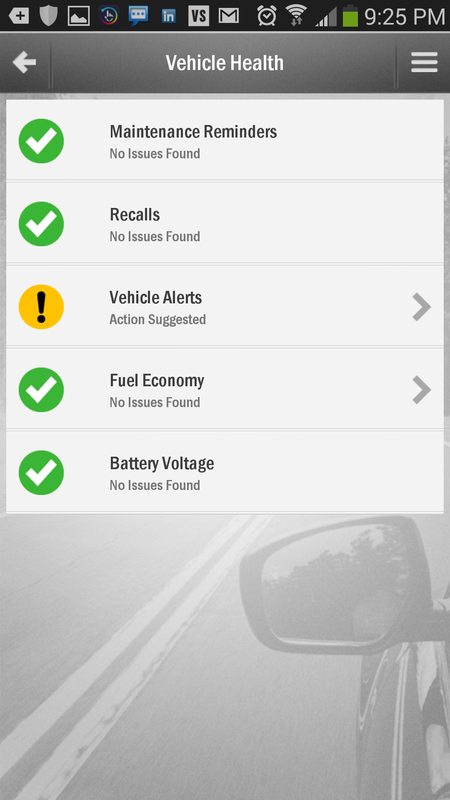 What if you could buy a device that could constantly diagnose your vehicle's operation, and go to a repair shop with some level of knowledge of your car's issues without blindly trusting the professionals? The good news is, there is such a device. It's called the Audiovox Car Connection. It's a little black box that plugs into any vehicle that has an OBD-II port (usually 1996 or newer). This little plug in port is usually found right under the dash of your car. The Audiovox Car Connection plugs right into the OBD-II port and collects information about your vehicle's performance, and sends it wirelessly via a SIM card that comes with a unique AT&T wireless account made for the device right to your computer or smartphone. Installation was easy as pie. I was able to register an account on the Car Connection website and activate the device. Next, I downloaded the Android app for my smartphone, and I was ready to roll. The information that it generated completely surprised me. 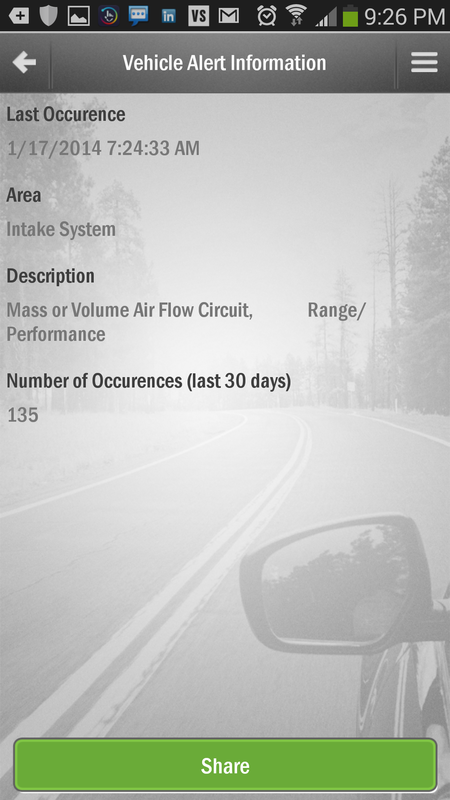 I was able to see realtime fuel economy, maps of where I drove each and every day, and a full report of issues going on with my engine system that I did not know about. At the time, I noticed that my Cadillac was having small incidents of slightly losing power on acceleration. Going to the app on my smartphone, I found out that there was an issue in the Intake System. The device reported 135 incidents of the Mass Air Flow circuit malfunctioning. 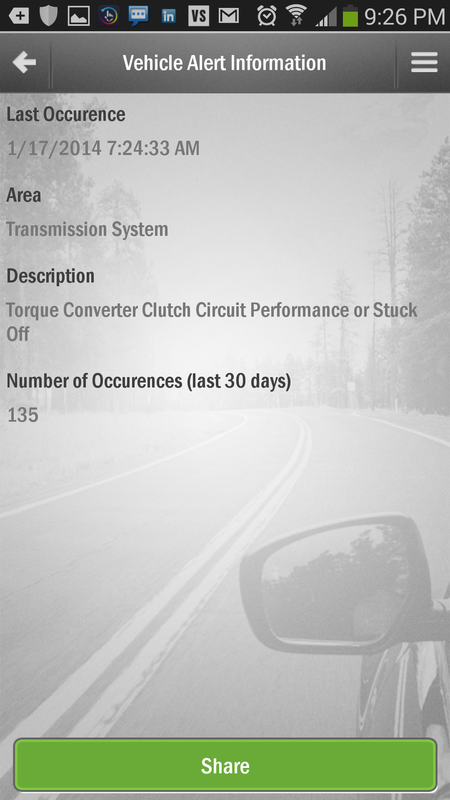 Additionally, it reported a problem in the Transmission System, with 135 incidents of the Torque Converter Clutch Circuit acting up. All I had to do was take that information straight to my former head shop mechanic, and he immediately knew how to solve the problem. All of this was conveniently generated by the device. But can you imagine taking your beloved vehicle into an auto repair shop with this kind of detailed information, versus blindly walking in with absolutely no knowledge of what the problem could be? I'm guessing you would agree that this would be both liberating, and empowering. Unfortunately, there are many repair shops and dealership service centers that "over-diagnose" problems in order to fluff up the profit potential of repair services. Believe me, I know this as fact, from my experience as a shop owner. I can't tell you how many times customers brought in bogus fluffed up repair estimates to my shop, only to discover that half the supposed problems didn't exist. The Audiovox Car Connection doesn't just save you from uneccesary repairs. It also acts as a virtual back-seat driving nag, rating you on your driving ability. It can tell you how well you are operating your vehicle, and help you to drive more efficiently. 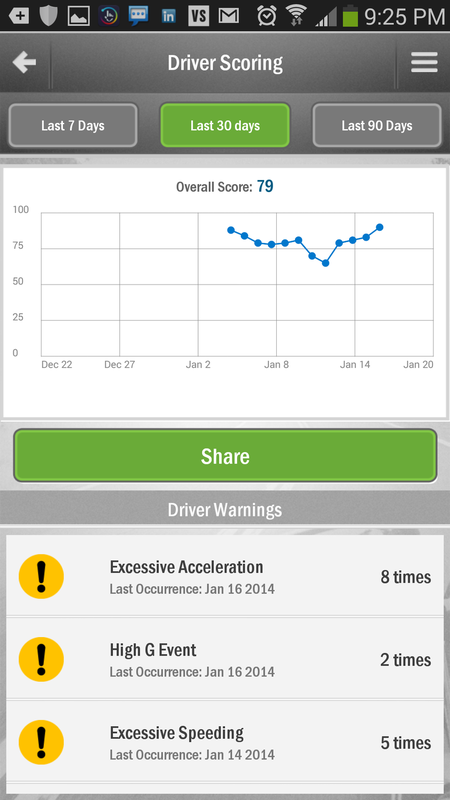 The Car Connection app told me that I had 3 instances of excessive braking, 5 instances of excessive acceleration, two "high G" events, and 7 instances of excessive speeding (oops!) while I tested the unit for two weeks! I got a good laugh out of that, but it did help me to become more aware about how I operate my vehicle. This knowledge can help drivers prevent wearing out their brakes or suspension system prematurely, and also help you get better fuel economy and stop wasting gas uneccesarily. You can get the Audiovox Car Connection Elite Series device for $179.99. Keep in mind, I paid $3,000 for my Genesis diagnostic computer, and current diagnostic computers can cost $10,000 or more. That puts it in perspective. And the 3G data plan through AT&T is only $10 a month (no long-term contract is required). That's a small cost to incur, considering the benefits. As a former auto repair shop owner and current auto body shop owner, I'm giving this device a high recommendation for everyone who is serious about maintaining their vehicle. In fact, I'll will be picking up one of these myself soon. Knowledge is power, and this device has the potential of putting you in a much better position the next time you have to vehicle to the repair shop. Give it a look! For more info, check out the AT&T Press Release or contact your local AT&T store!